I made it through Christmas. I did better than I thought I would. The kids excitement got us through. Seeing them be happy and just be kids instead of kids carrying a burden that is much larger than themselves was good for the soul. I love how they would just remember Noah or talk about him out of the blue about something that struck their memory. They each had their moments of realization though and it was a hard conversation or a long sit together in a knowing silence but overall, I survived Christmas. The dread for me was yesterday. It was today. Everyone was reminiscing over their year of 2018 and all the great things, some of the not so great things, and looking forward to the things the new year brings. Me? Ya, not so much. 2018 was a pretty brutal year. Hopefully the worst experiences of my life. But, I didn’t want to say goodbye to 2018. I certainly didn’t want to welcome 2019. You’d think I would but I never thought I’d live in a year where my child wasn’t a part of the experience. I shouldn’t have to, but this is now our reality. It’ll be the first year in 8 years (since finding out in August 2011 that I was carrying Noah) that he will be physically missing from our lives and our new memories. 2019 is going to be a constant reminder of how time is going to keep going and eventually the time will come where he has been missing from our physical lives longer than he was in it. In 5 short months our “firsts” without Noah will be over. 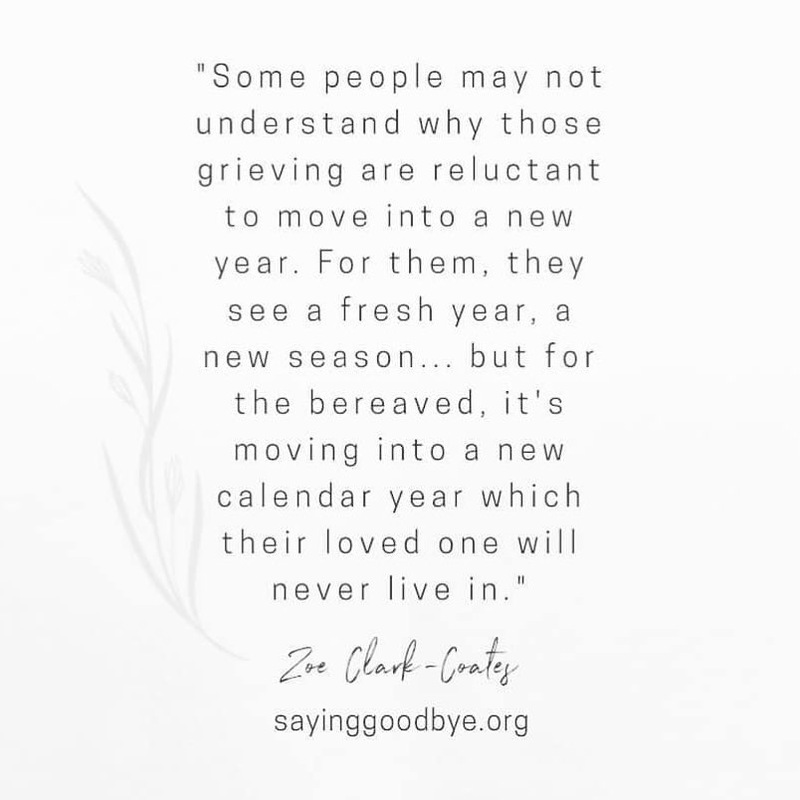 The bereaved parents who have gone through this tell me year 2 is harder than year 1. I can’t even imagine but it’s a common theme I’ve read about and been told so I know it’s coming. I dread it. I dread it all like I do when I wake in the morning and remember this hasn’t been one bad dream. A complete nightmare. So while everyone is looking forward to new beginnings and a new jump-start, I just want to stay there. Stay in the year that we shared. I haven’t wished anyone a Happy New Year. I can’t say the words out loud. I couldn’t do the countdown with the kids dancing and laughing around the living room. All I could think was I wish I could stay. I don’t want to know a year without Noah. I know, big things are coming in a few short weeks and yes, I’ll be happy and love will find a way in and grow my heart again but I will never escape the pain. People say the old adage, “things get easier in time” but honestly, this isn’t one of those things. Losing a child will never get easier. I will find a way to manage but it’ll never be something that will be “easy/easier”. Moving on to 2019 will not make this any easier and I wasn’t happy to see 2018 go. I read a quote which resonated with me. Even with this new year that is upon us, a large piece of me will forever live in and be stuck in 2018 and wishing I could go back to the days prior to June 1st. So yea, 2019 is here and it brings a lot of big feels.